A micro-influencer is an individual on social media whose following is anywhere between a few hundred to a few thousand people. It is often better to work with micro-influencers rather than using well known people with millions of followers because their audience is more engaged. Micro-influencers have a following of anywhere between 1,000 to 100,000 followers. They act as an inspiration to their followers. They also have good communication with their followers as they have to communicate with fewer people, whom they can pay closer attention to. Micro-influencers have a higher engagement rate than other influencers despite having a smaller following. People assume that more famous and well known influencers will have a more significant impact on their audience and will be able to generate a high engagement rate. But that’s not always the case. A study by HelloSociety showed that as the number of followers increases, the engagement rate drops sharply. 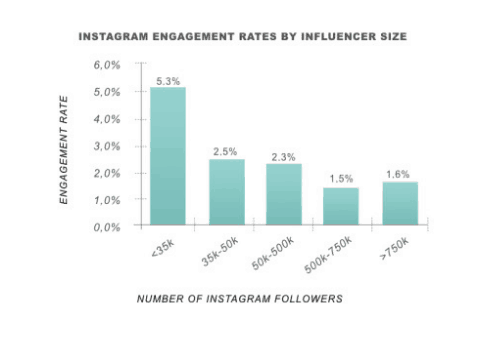 The above screenshot is taken shows the engagement rates of Instagram influencers with varying numbers of followers. As you can see, influencers with less than 35K followers have the highest engagement rate (5.3%). As the number of followers increases to between 35K and 50K, the engagement drops by more than 50% to 2.5%. As the number of followers increases to between 50K and 500K, the engagement rate further drops to 1.5%. There is a minor increase in engagement rate for influencers who have the following of more than 750K to a 1.6%. A similar study by HelloSociety also shows that the average engagement rate for influencers is 3.8%. Which increases to 4.3% during the holiday season. This affects those brands that look forward to promoting their brands during holiday seasons like Christmas, New Year, and Halloween along with many others. 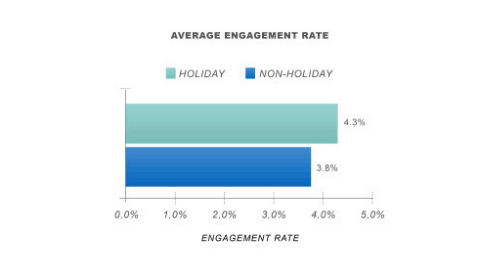 The chart below shows the difference in engagement rate during and after the holiday season. In spite of all this, it is important to understand that the type of product needs to be in line with the type of influencer you are choosing. It is advisable to partner with micro-influencers for brand promotions as they can reach dedicated followers in the relevant niche as opposed to reaching the masses. So it becomes much easier to reach out to the target audience. Tom’s of Maine, which manufactures hygiene and personal care products, decided to launch an influencer marketing campaign. 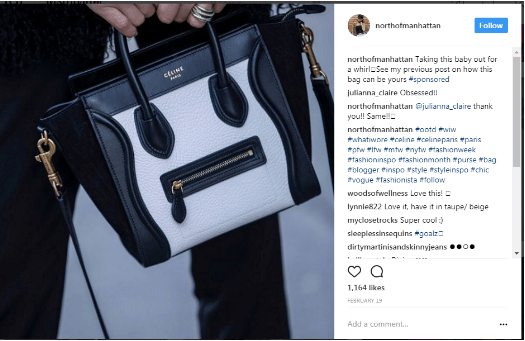 They worked with micro-influencers to boost the sales of their products. They also wanted to increase their social media presence. People who were selected for the campaign had between 500 and 5000 Instagram followers. One of the influencers chosen for the campaign was Allison Goines, who has 4000+ followers. She and several other influencers participated in the campaign to promote products from Tom’s of Maine. The results of the campaign were extraordinary. Customer engagement increased by a staggering 600%. Along with an increased market presence, Tom’s of Maine also gained other valuable information from users. Like feedback and suggestions for improvement which were 4,270. A staggering 1.72 million people were reached with the help of the campaign. The statistics below are the results per 1000 micro-influencers that were activated for the campaign. Another company named Mezzetta launched an influencer marketing campaign to gather data for their Pinterest page. The campaign was used to inform the people about free giveaways they were offering and of course promote their brand. 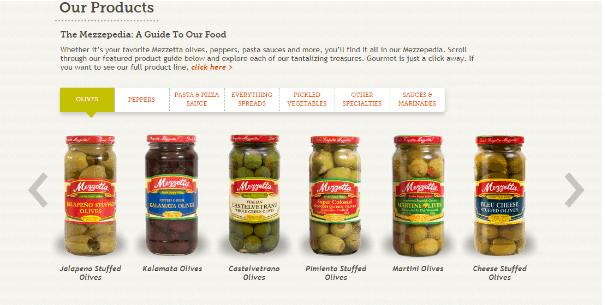 The screenshot below shows the range of products that Mezzetta manufactures. They decided to work with major food bloggers who keep posting their original recipes and images on their blogs. They helped promote products from Mezzetta by implementing them in their recipes or showcasing them in their images. 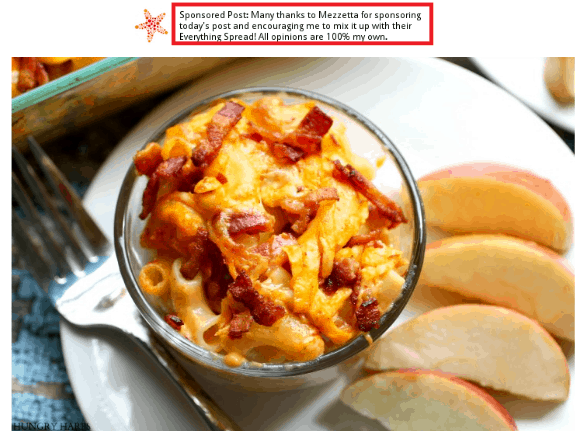 One of the bloggers used for the campaign was Hungry Harps who created a new recipe using one of their spreads. As you can see in the screenshot below, he also captured and published a visually-appealing image of the finished dish that uses a Mezzetta spread. The result of the campaign was astonishing. Mezzetta managed to increase their following to 13 million. They also increased their engagement rate significantly and exceed the expected rate by 1,063%. The campaign resulted in 7500+ pieces of unique content on their page. Mezzetta used an effective tactic to work with the bloggers. They just asked them to promote the brand and left the rest to their creativity. So the bloggers retained their voice,and effectively promoted the brand in their own unique way. This was the reason that the campaign was such a huge success. Another great perk of working with micro-influencers for promoting a brand or its products/services is the increase in conversion rates. Most of the micro-influencers are experts in their areas of interest. Whether it’s travel and lifestyle or tech and gadgets. As a result of their expertise, their views on the topic are considered genuine and trustworthy by their reader and followers. So micro-influencers drive most traffic into conversions. If a brand decides to work with micro-influencers with a specific category of followers, there is a high probability that they will attain a higher rate of conversion as compared to working with big influencers on various platforms. A Twitter and Annalectstudy shoed that as many as 49% people say that they trust recommendations by influencers to make their purchase decisions. This gives an immense boost to the collaboration between brands to work with influencers which in turn increases their conversion rates. Koa Organic Beverages is a manufacturer of organic fruit-based beverages for health conscious customers. They launched an influencer marketing campaign with seven micro-influencers in yoga. These influencers are perfect for the brand because they’re into health, fitness, and healthy eating. Koa distributed their samples to these influencers who really liked their product and eagerly helped in promoting them. 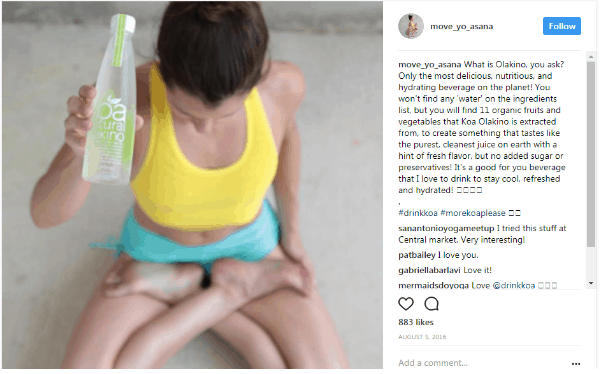 One of the influencers on board the campaign was Andrea Taylor, who uploaded a picture with a post and is seen holding a bottle of Koa Organic Beverage. You can see a screenshot of her post below. Another micro-influencer named Studiohopfit, who has a following of more than 9,000, posted the following promotional post on Instagram. 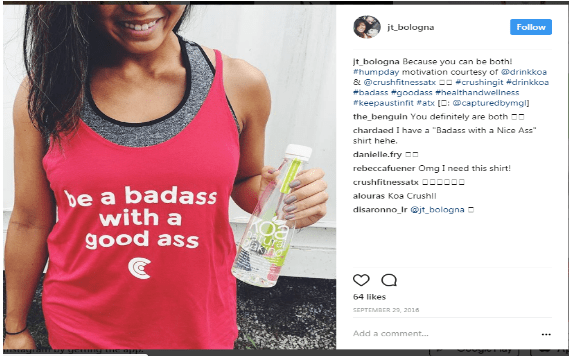 You can also see another influencer Jt_bolongapromoting Koa Organic Beverages on her instagram post. 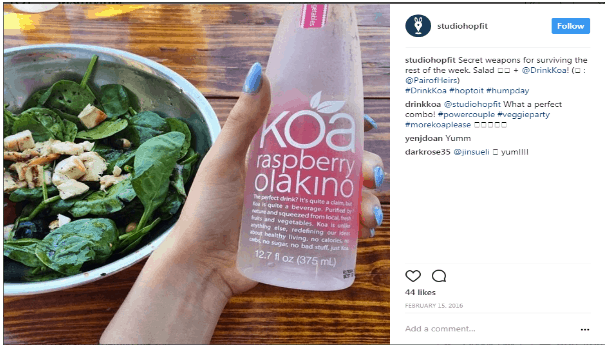 The results of the campaign were mind blowing as Koa Organic Drinks were able to reach more than 500,000 people and generated a total of more than 10,200 likes on their promotional posts. Another way of promoting a brand via influencers to increase conversions is to get them to promote discount codes, which their followers can use on their first purchase. You can also achieve the same results by promoting links for free limited-period trials on your services. A brand named Supursestyle is a company that rents out designer handbags. It launched an influencer marketing campaign to promote their brand by issuing discount codes via various fashion influencers like Lauren Recchia who is a style creator and blogger. The images below are taken from Instagram and shows the promotional post by Lauren to promote the brand Supursestyle and their promotional code. Lauren is seen promoting the company by saying how she used her new favourite service that day. She also included a 15% discount code exclusively for her followers. She posted a second image in which she showcased a close-up image of the purse she got from the service. One of the biggest benefits of working with micro-influencers is their affordability. This makes them easy to reach out to and they’re an economical choice for many brands that have a tight budget for promoting their brand. Micro-influencers are also a good option for small scale businesses and startups. A survey conducted by Bloglovin in 2016 involved 2500 micro-influencers that helped gain some insight into the cost of working with micro-influencers. 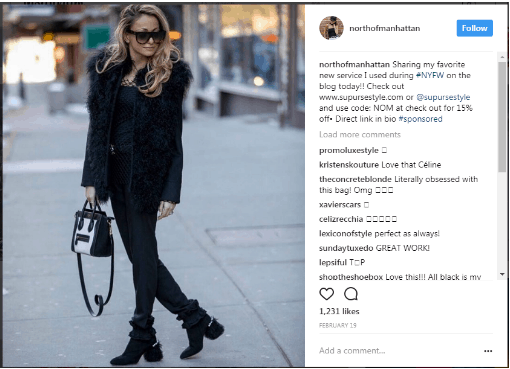 97% of micro-influencers will charge less than $500 for each Instagram post. And 84% don’t even charge you over $250 for each post. The study also found that with a budget of $5000, you can reach out to around 315,000 followers on Twitter, 200,000 people on Instagram, or 125,000 people on Facebook. Working with micro-influencers is an affordable way to reach out to your target audience and to make your brand more popular. Multiple micro-influencers can be hired in a limited budget to reach thousands of people at the same time. There are many big influencers than can be used for brand endorsements but the cost of working with them is significantly higher. One of the most popular influencers is PewDiePie, who has close to 50 million subscribers on YouTube. 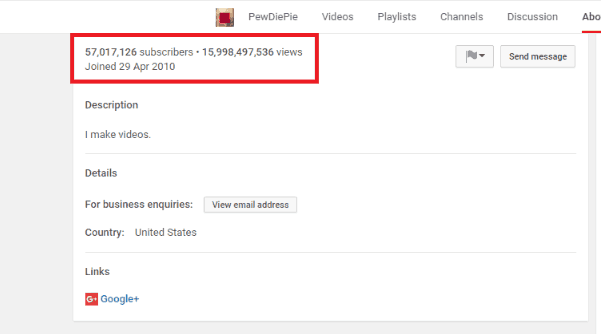 The screenshot below shows the number of followers and number of views for his videos. Although he does brand promotions, his charges are also extremely high and you might have to spend around $100,000 per promotional video. 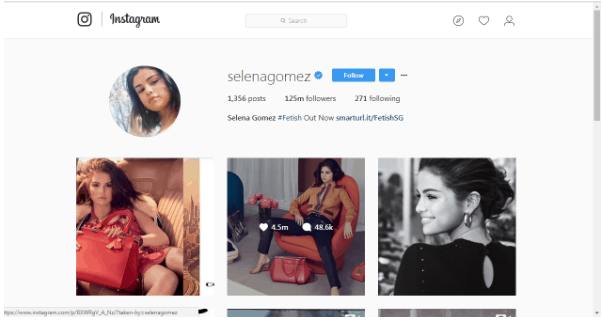 Some brands have even worked with Instagram’s highest paid celebrity influencer, Selena Gomez. This can be very effective as she has a following of more than 125 million. However, she charges a staggering $550,000 per promotional post making her virtually unreachable for small businesses and businesses that are on a tight budget. The Real Value of Facebook Live And Instagram Stories? The Data You Can Unlock Through Influencer Marketing! The amount charged by these celebrities and influencers is a lot and most businesses won’t be able to afford them. So in order to promote your brand and product in the best and cheapest way possible, you can start working with micro-influencers to reach out to their followers. The previously-cited study by Bloglovin has already established that you won’t have to spend more than $500 for an Instagram post by a micro-influencer. Working with micro-influencers is also significantly cheaper in other social media platforms as compared to a partnership with top influencers.. The Bloglovin study found that that 90% of micro-influencers on Facebook charge less than $250 per promotional post. And 97% charge less than $500 for promotional posts on Facebook. 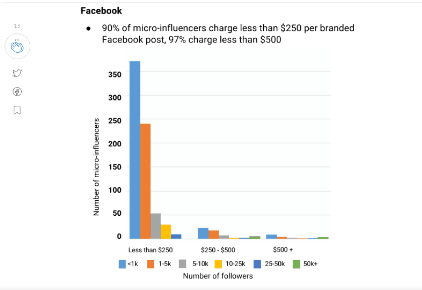 You can see more details about the cost of working with micro-influencers on Facebook in the following chart. The cost of working with micro-influencers on Twitter is even more affordable than on other channels. The study found that 83% of them charge less than $150 for a promotional post on Twitter and 96$ charge less than $200 for a single post. 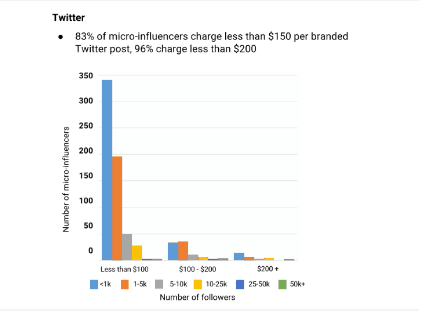 You can see more details about the average cost of working with Twitter micro-influencers in the following chart. It’s clear that working with micro-influencers is significantly more affordable than working with celebrities and top influencers. Their rates are more scalable and they are within reach of every type of business. So even if you’re a startup that wants to promote their business, working with relevant micro-influencers is financially viable. The above benefits prove that micro-influencers are an effective and affordable way of promoting your brand. Having a group of dedicated and relevant followers and good user engagement rate is what makes them stand out from other types of influencers. Due to their affordability, even small businesses can use the benefits of growing their brand via influencer marketing campaign. So if you ever decide to promote your business through influencer marketing, let me know so I can help you plan a campaign using the most relevant micro-influencers for your business.